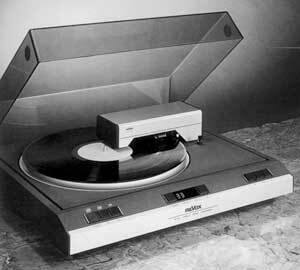 The Revox B791 was essentially a B795 with pitch control and pre-fitted Shure cartridge. The unit's most striking feature is the servo controlled, parallel tracking tonearm. Bass reproduction was well above average with promising depth and articulation and while the stereo images were quite well focused, the treble lacked some detail, and depth effects were moderate. Revox B791 / B-791 owners manual, service manuals and schematics are for reference only and the Vinyl Engine bears no responsibility for errors or other inaccuracies. The PDF files are provided under strict licence. Reproduction without prior permission or for financial gain is strictly prohibited. This website is not affiliated with or sponsored by Revox.